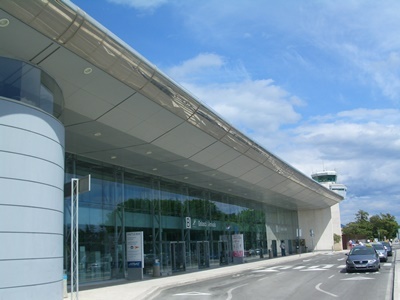 Arriving to Dubrovnik by plane and wish to be picked up at the airport? Book in advance a reliable and comfortable private transfer to your apartment, hotel or holiday villa. The english speaking driver will meet you upon your landing inside the airport terminal and assist you with your luggage. You can also arrange transfers to any destination in Dubrovnik region (Cavtat, Plat, Mlini, ACI Marina Komolac, Slano, Orebic, Korcula) or anywhere in Croatia. Transfers to Montenegro and Bosnia & Herzegovina are also available upon your request. Shared airport transfer is a affordable option of getting from or to Dubrovnik airport. The driver will wait you at the arrival terminal and drive you directly to your accommodation in Dubrovnik. This is the more affordable option since you share your transfer with other passengers and sometimes you need to wait them to arrive. If you need departure transfer to the airport you will be picked up in front of your accommodation at desired time.